All good things must come to an end. Let's count up the days! New for the 2010/11 ski season Vail announced it's launch of EpicMix. So ,what is Epic Mix? Per the FAQ found here... EpicMix is new for the 2010/2011 season at Vail, Beaver Creek, Breckenridge, Keystone and Heavenly, and a revolutionary technological advancement for the ski industry. 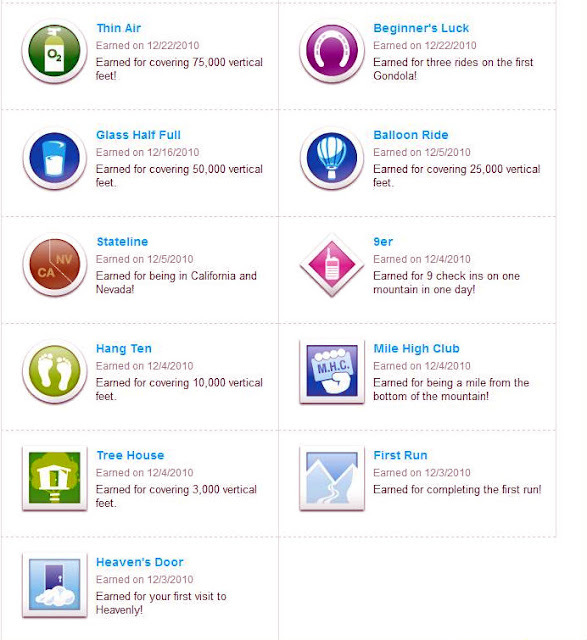 With EpicMix, all your activity on the slopes is automatically captured and uploaded to your EpicMix dashboard. All this is possible because of Radio Frequency scanners at the base of every lift, and RF technology built into every Vail Resorts season pass, and PEAKS card. Basically, it's a social media platform used to elevate your mountain experience by allowing you to track your days & vertical feet all while earning pins and bragging to friends and family via Facebook and Twitter. For more details check out the website here. I've been tracking my days and vertical all season and although I feel I could more like should have snowboarded a lot more it's a fun way to keep track. It's crazy to think the year with the most snowfall, since living in SLT, was the year I went up the least. Maybe it was all the powder days wearing me down or wind hold days keeping me from going up. Either way I know I'll be snowboarding a lot more next year. Plus, I have EpicMix to hold me to it. Are you in the Mix? 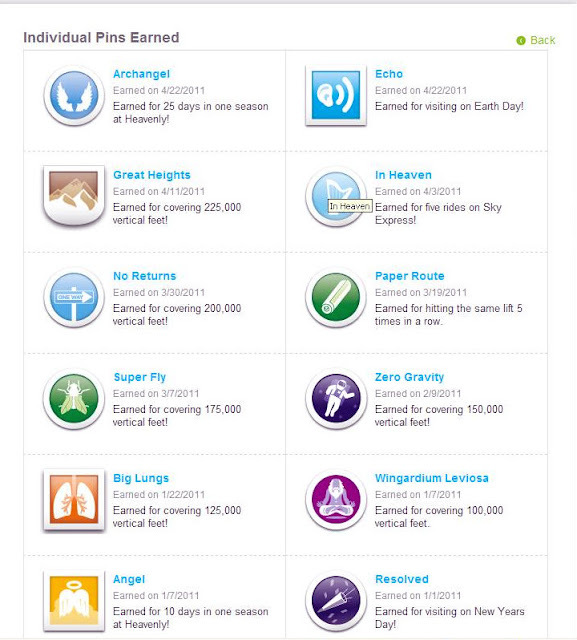 How many days/vertical feet did you ski during the 2010/11 season? Check out what each one means below.